Saying goodbye is never easy and I am particularly bad at it. I have been bad with closures eternally but since silent goodbyes are no good, let me try anyway. Donald Rumsfeld often quoted that it is easier to get into something than to get out of it. Exits are never easy, they are like break-ups and that touches a special chord makes it that much harder… Still there comes a point in time one has to get off the train at the terminus, so to speak, and that time has come for me to say adieux to E2E, the company that I served and grew up with and where I created some of my best memorable projects and products to date with the affection of a parent. I remember the one balmy June evening in 2008 when I got the call from Aqeel. He had set up my meeting with Shoaeb after earlier in the day I had met AA already. I was thinking to leave the previous company (Etrix), after a long time, for personal reasons, although I loved working there too for more than one reason and e2e was the first company where I had applied just to test the waters. I was still not fully committed in my mind to start another full time job due to my freelance work and the things I was doing on the side, but I’m glad that I made the right choice in the end. In that fateful meeting, SS presented the idea of Fashion Central which I liked a lot and he talked me into this and the bribe was one cup of green tea (without sugar) and much excitement about the challenge of bringing out the best and biggest fashion portal for Pakistani fashion scene which eventually expanded to global fashion scene with more portals. Since I was already kind of well versed in designing/developing portals albeit in travel niche and I admired the fashion industry muchly, again for multiple reasons and wanted to taste it too, so jumped right into it. It was the beginning of a long but very satisfying haul. Later on, Fashion Central grew as we conceived it and won P@SHA ICT Award in 2010 which is a statement in itself that we succeeded and the idea that took flight in that fateful meeting was right. We also went on to design many more fashion portals and rest, as you all know, is history. I must also take the credit, or the blame, depending on how one looks at it and whom you listen to, for starting a new thing in e2e which was/is Fashion media publishing and portal business model. Qamer and some other Mullah group were very critical of it due to not just their conservative views but also taking the e2e focus away from software development but I liked it anyway because it was too software development for me at least. I have loved my stay at e2e and one of the most important reason was that I had virtual carte blanche. The CEO, Shoaeb Shams, and the CTO, Aqeel Ahmed, the two people I was answerable to for my bits and antics, never ever interfered with my work to the extent that they did not even know for months on what I was working on (well they knew via Redmine for every hour but they never asked me). If they had any problems with my working style over 6 years that I have worked here at e2e, I don’t know about it. That says much about both of them for giving me freedom to do what I pleased and the way I pleased and I pat myself for having used it to the hilt! They both did not make me change anything trusting my knowledge and judgement. Thank you sirs! Who else tried, I took care of them. During my stay here, I usually worked alone or in smaller teams but when I needed help from others especially later on with media team, I used persuasion and sometimes bullying and arm twisting and due to my fiery nature, I have trampled few but I would not be apologetic about it and consider it as a necessary evil which was sometimes required and needed to be done in the best interest of the portals or whatever we were doing. Being responsible and owner of the projects, I had to get the job done by using all means and that’s all that mattered. At this point, I would especially thank Feroze Ahmed, my friend, partner and able deputy, for his continued support that started from day 1 till last. He was one person with whom I needed neither power of persuasion nor bullying to get things done ever and that says lot about him given how detail oriented and harsh critic I really am for work quality. Apart from the skills and knowledge which he is very good at himself, I have tried to recast him into my own image but failed, because he is so friendly, that I don’t know if he ever gets angry on anything. Thank you too sir for being my best man here! It would be wrong if I would not mention that my role at e2e was not limited just to fashion portals development and management. I worked on Flash apps, created some really complex and advanced flash projects, search engine friendly CMS development, worked on WordPress themes and Plugins, web apps, and Facebook Apps development, and later on APIs development for mobile apps. My roles also included project scope of work assessment, architecture and management, client communication and lead developer for the project. I also played the UI and designer role especially in my earlier years here. I also played the webmaster role for our hosting servers and it was the biggest challenge keeping in view the high traffic of our portals, nevertheless it was all very exciting and I learned lot of new things. In short, there was not a single dull moment for me and I had, sometimes 25 chat windows blinking simultaneously for tasks, requests sent by SS, AA, all media team, designer, fellow developers, and Network administrator for one thing or another. But apart from AA and SS, I made sure I completed my arguments with Qamer over politics before getting back to all others. Anyway, it was very busy but fulfilling experience being the central point in all of this action packed job! I am sure you don’t like this goodbye post or maybe some of you do 🙂 Ha, I don’t blame you! Aren’t such pieces supposed to be poetic and infused with some degree of sentiment? If you are disappointed, I beg your forgiveness, dear colleagues. For me, such goodbyes are walk in the park after having gone through some real big league sentimental stuff over and over again in my life. So forgive me if I don’t make you feel like that. I’m actually feeling very happy and looking forward to new life and freedom. I would also like to thank e2e Nederlands arm with whom I worked extensively in my earlier years.. especially the management, Berry Tanis and Jan Verkooijen. I would also like to thank ConvoSpark team, our US partner and especially Derek Manuel. I enjoyed working with all of you. Thank you sirs for putting up with me for so long. In any case, dear fellow e2eians, I loved every moment of my stay at E2E that started with a little bribe and incidentally ended in similar style with a cup of green tea (but this time with sugar) with same people in attendance, AA and SS. I must thank you all for making it work for me, especially those who have left already and with whom I spent my most time arguing politics and some more… I would miss you. p.s: I have left the day time job with e2e, I will keep working with them on contract basis. 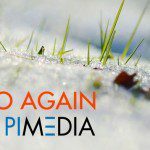 PreviousPrevious post:Review for jQuery for Designers Beginner’s Guide Second EditionNextNext post:Hello (again) PI Media, I’m back! Unpack the gift please and post the picture here.